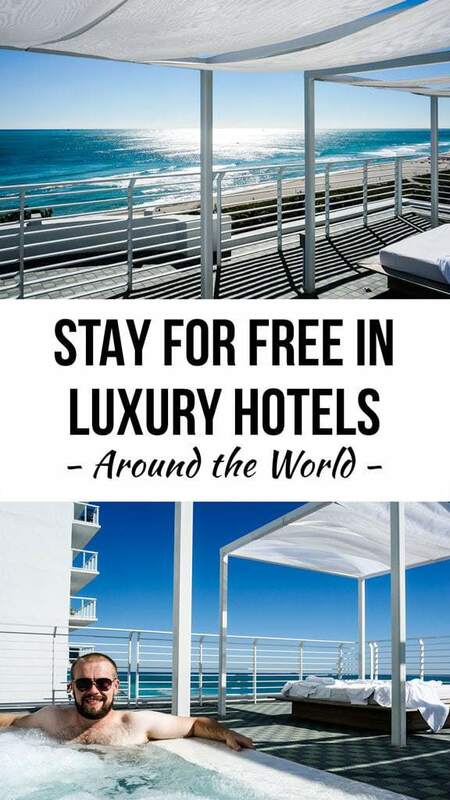 Have you ever wondered how to stay in hotels for free? 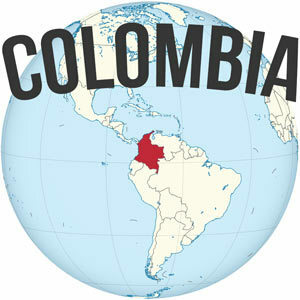 Even luxury properties or hotels in far-flung international destinations? It might sound too good to be true, but it is totally possible with travel hacking. I’m all for the freedom and adventure afforded by truck camping, aka sleeping in the canopy of my truck, but that doesn’t mean that I don’t enjoy splurging every once in a while for a nice place to stay. Airbnb is always a favorite, especially when I want a full apartment where I can cook, hang out, and relax (P.S. new members can get a $40 credit toward their first stay here). But I also enjoy traveling to luxurious hotels or other amazing properties every once in a while… It’s just that I don’t really like paying an arm and a leg for them. 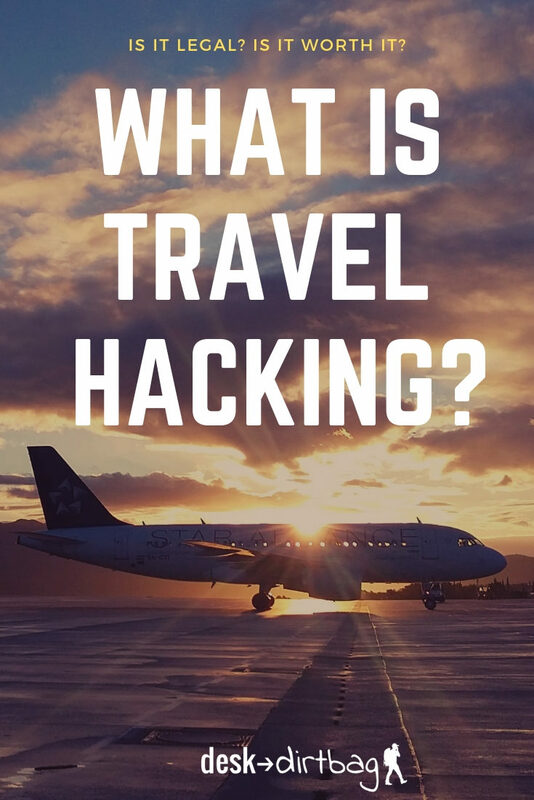 This is where the world of travel hacking and points comes in and this is what will allow you to take a totally free vacation within the next year, for sure. 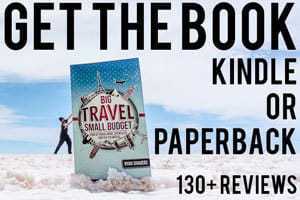 If you’ve read my book Big Travel, Small Budget, then you know I almost always fly for free, even flying First or Business class and hanging out in the vip lounges and enjoying the free food and drink on offer (in both the lounges and flights), thanks to all those credit card mileage promotions. 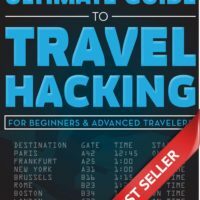 If you need a refresher, don’t miss my travel hacking 101 article. But did you know there are similar sorts of opportunities for hotel properties? Like airline mileage programs, the shortcut here comes from credit card promotional offers, which is how you can stay in hotels for free. One of the best offers out there is for the Marriott Rewards credit card which offers 75,000 points for spending $3,000 within the first three months. I know $3,000 in three months sounds like a lot, but it really isn’t if you know the tricks, which we’ll get into later in the article. Those 75,000 points are enough to redeem three-nights totally free at any of their luxurious Category 5 properties around the world. We are talking waterfront, upscale, nice places which often cost $200 or more per night. This means savings of at least $600+ in lodging at some pretty incredible places. 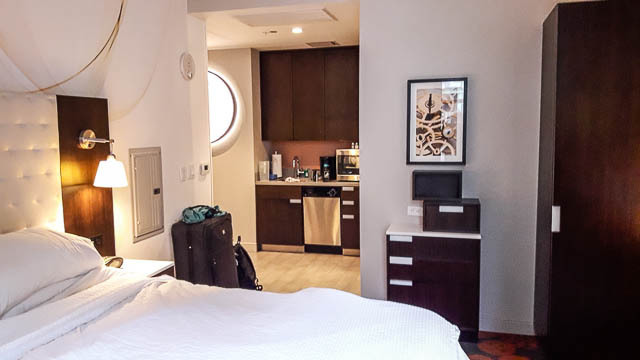 I used this offer, combined with regular credit card spending a few paid stays at other Marriott properties in order to rack up 100,000 points which I turned into FIVE totally free nights in Downtown Manhattan. The hotel should have cost around $2,460 at the going rate, but instead, it was FREE. It even included a free hot breakfast every morning, and we had a small kitchen (pretty rare for Manhattan). 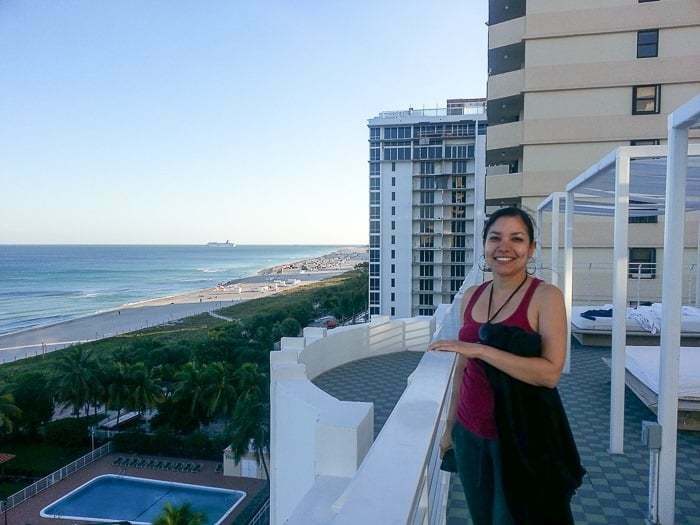 One perk when you book with Marriott Points (known as Marriott Bonvoy now) is if you book four nights, you get the fifth night for free… Which is how I got five nights with 100,000 points when it normally costs 25,000 per night. It’s also not just JW Marriott brand hotels, but rather the 19 different hotel brands under their mark at more than 5,000 hotels in 87 countries around the world. Pretty good! 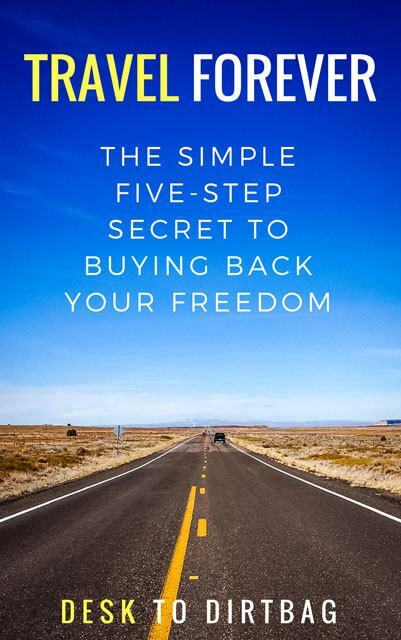 I mean, even if you don’t plan to travel overseas, you can still use the stay within the United States at one of their many properties and save some serious cash — even if all you are using it for is to take a break from truck camping. Note: If you’re currently in credit card debt, then you definitely don’t want to pile on. This strategy is only for people who have things under control and make their credit cards work for them, rather than the other way around. Instead, please go read Conquering the Debt Mountain. Marriott classifies its hotels across nine different categories. The most affordable and normal are Category 1 offerings from places like Fairfield Inns & Suites. And their most upscale and luxurious are Category 9. This means that the 75,000 points can be redeemed as you see fit among the wide range of categories. Category 1 properties cost 7,500 points per night, meaning you’d have enough for 10 free hotel nights for meeting the credit card minimum spend. The cost of each category goes up on a sliding scale, so Category 5 properties cost 25,000 per night (which is arguably the best value), and Category 9 properties cost 45,000 per night. Just like the airline credit cards, the only catch is being able to meet the minimum spend requirement, which is often a $3,000 minimum spend within three months and which is also the case with this Marriott Rewards card. 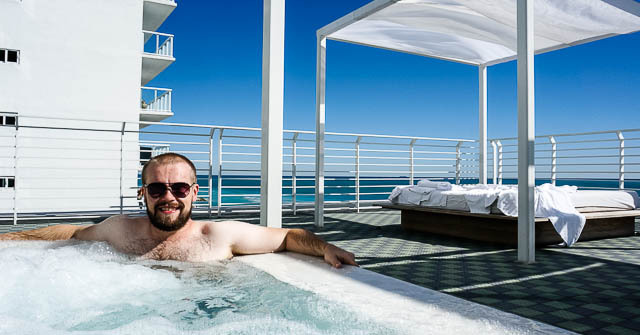 $3,000 is a lot of money, but the trick is meeting that requirement without spending more money than you otherwise would spend, meaning that you are getting a truly amazing benefit (those free luxury hotel nights) for absolutely free. There’s no catch, so long as you meet the minimum spend. To do so, you should focus all of your day-to-day spending on your card. This might mean giving up cash, putting all your gas, bills, and food on the card, which will get most people nearly all the way there. Second, you could plan to apply for this credit card for when you know you’ve got some large expenses coming up… Whether it’s buying a plane ticket, concert tickets, new tires, car repairs, a laptop or camera, or even paying your Federal taxes. In instances where you might pay an additional 3% in order to use a credit card (like to pay taxes), it is still worth the small fee when you think about the actual redeemed value of the promotional points — even the entire $3,000 at a 3% processing fee amounts to just $90, well below the benefits you’ll receive in return. There are also ways to “manufacture” spending whereby you spend money on the card, without really spending money, in order to meet the requirement. Think about things like buying gift cards which you can use in the months ahead, or even buying something expensive which you could sell still in the package on Amazon or eBay… Even generating a small loss still means big savings when you consider the value of the hotels you can stay at with a minimum spend. Finally, you can always volunteer to put big expenses from friends or family on your card and simply ask for cash or check to reimburse you as you chip away at that precious $3,000 minimum spend. Check out my follow up article for more ideas about how to meet the credit card minimum spend. The Marriott Rewards Premiere Credit Card is a Visa card from Chase. New members can get 75,000 points, good for three free nights at a Category 5 hotel by meeting the minimum spend of $3,000 in three months — $1,000 per month. The annual fee of $85 is waived for the first year. The card itself is pretty solid, even without this amazing promo offer… You earn 5x points for every dollar spent on Marriott lodging. 2x points for any airline tickets purchased directly from the airline website. And 1x points on every other dollar spent on the card. It also comes with other perks, including automatically qualifying you for the Silver Elite status which gives you things like priority late checkout, 20% bonus on Marriott points, and a few other things. 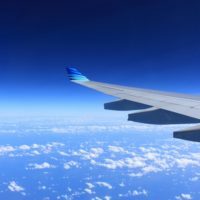 The card has no foreign transaction fees, which also makes it ideal for travel — check out my article on travel banking fundamentals for more details about how I manage my debit and credit cards for a travel-oriented lifestyle. While this card does have an $85 fee after the first year (it’s waived the first year), it is one of the few cards that is obviously worth the annual fee when you consider that they give you one free night in a Category 1-5 hotel each year on your anniversary. By redeeming that free night on a Category 5 hotel, you are instantly trading $85 for a hotel that would cost $200 or more. 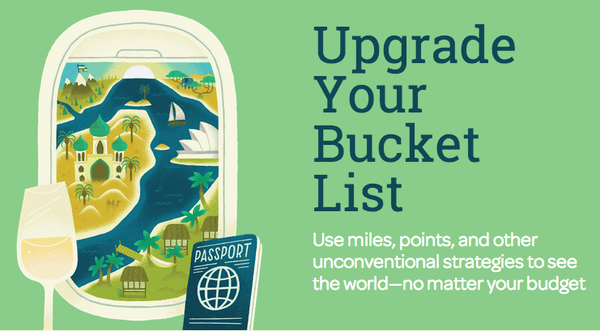 So it’s kind of a no-brainer if you like to travel and like to save money. If you’re just in it for the initial promotion, then simply put a reminder on your calendar (I use Google Calendar) to call to either cancel or downgrade the card before the fee hits. The fact is that you could (and should) target both airline mileage credit cards and hotel points cards like this one from JW Marriott. 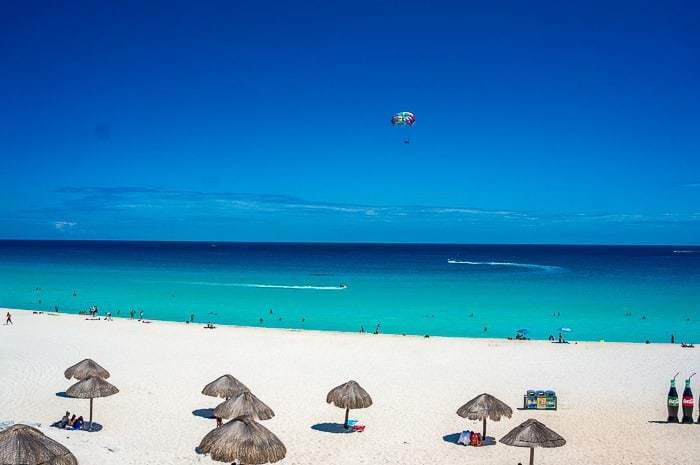 Just think: you could fly for free to Cancun, London, Paris, wherever, using your airline miles and then stay in a nice hotel for at least three nights (even more with a lower category hotel) and basically not pay anything except the taxes for the free flight and for your food and sightseeing costs. If you can redeem four nights, then you automatically get the fifth night free. This is the definition of travel hacking and is fundamental to how I manage to travel for so long and for so cheap. 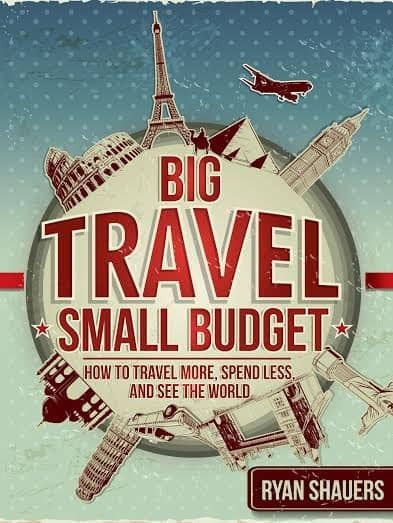 If you need more information about the fundamentals of travel hacking, then be sure to pick up my book Big Travel, Small Budget, which dedicates a chapter to the ins-and-outs of this approach, and it also discusses three other ways that I save huge money while traveling the world, including house sitting, Airbnb subletting, and overlanding. 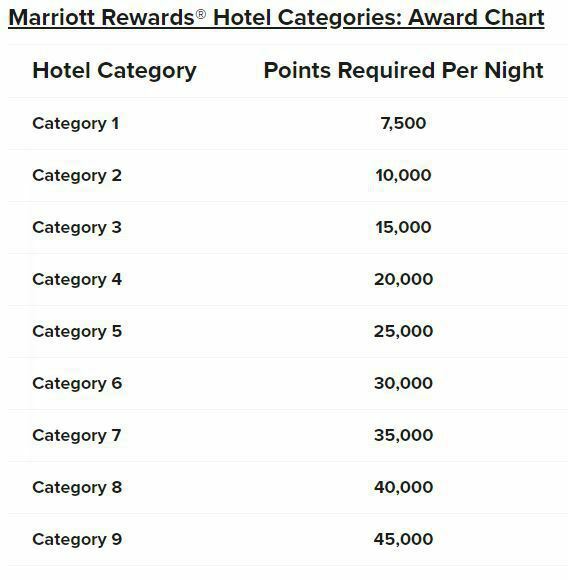 And if you haven’t already, you can sign up for the Marriott Rewards program (without the credit card) and still get sign-up bonuses for your stay. 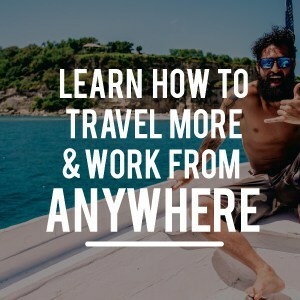 If you have any questions about getting started with travel hacking or how to creatively meet the minimum spend, don’t hesitate to contact me. Did you enjoy this article? Take a moment to share it on Facebook, Pinterest, or Twitter.